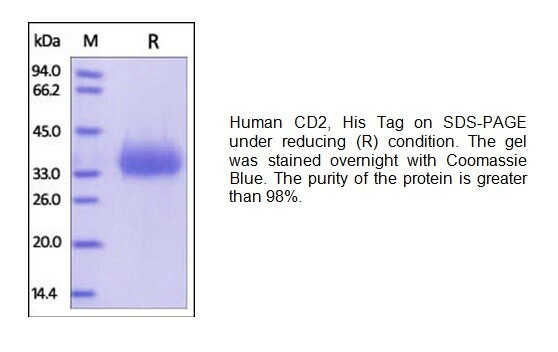 Human CellExp™ CD2 / SRBC, Human recombinant | P1129 | BioVision, Inc.
T-cell surface antigen interacts with LFA-3 and CD48/BCM1 to mediate adhesion between T-cells and other cell types. T-cell surface antigen CD2 is also known as Erythrocyte receptor, LFA-2, LFA-3 receptor, Rosette receptor, T-cell surface antigen T11/Leu-5 and SRBC, is a single-pass type I membrane protein found on the surface of T cells and natural killer (NK) cells. CD2 is a member of the immunoglobulin superfamily. CD2 / SRBC contains 1 Ig-like C2-type (immunoglobulin-like) domain and 1 Ig-like V-type (immunoglobulin-like) domain. CD2 / SRBC interacts with other adhesion molecules, such as lymphocyte function-associated antigen-3 (LFA-3 / CD58) in humans, or CD48 in rodents, which are expressed on the surfaces of other cells. In addition to its adhesive properties, CD2 also acts as a co-stimulatory molecule on T and NK cells. 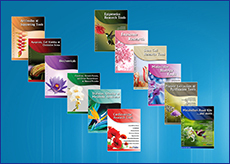 CD2 is a specific marker for T cells and NK cells, and can therefore be used in immunohistochemistry to identify the presence of such cells in tissue sections.